Abraham Maslow custom papers examine the American psychologist best known for his hierarchy of needs. Abraham Maslow (1908-1970) was an American psychologist best known for his hierarchy of needs. Born and raised in New York City, Maslow eventually studied at City College of New York and the University of Wisconsin, where the behaviorist school of psychology influenced his work. Paper Masters can compose a custom written research paper on Abraham Maslow that follows your guidelines. Alfred Adler, under whom he studied at Columbia University, also heavily influenced Maslow. Between 1937 and 1951, Maslow was a professor at Brooklyn College, where he began to formulate his own ideas regarding human identity. He called his theory humanistic psychology, which applies a holistic approach to the individual. This school has been called the third force in psychology, after psychoanalysis and behaviorism. Self-actualization, according to Maslow, is the best psychological state for the individual, and represents mental health. People who possess self-actualization have positive qualities, such as truth and goodness and have accepted themselves. 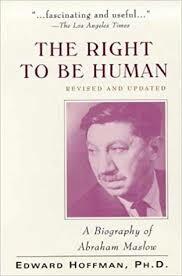 Cofounder of the Journal of Humanistic Psychology, Maslow died in 1970, after suffering a heart attack while jogging. Maslow Theory essays examine the theory of the hierarchy of needs developed by Abraham Maslow. Maslow’s Hierarchy research papers examine the theory, developed by Abraham Maslow, in which human development is laid out along a hierarchy, from the most basic to the more psychologically advanced needs of a person. Order a research paper on Maslow's Hierarchy from Paper Masters. Paper Masters writes custom research papers on Abraham Maslow and examines the American psychologist best known for his hierarchy of needs.